Dr. Elsa Murano was told that four years in Washington, DC, would feel more like 20—and after serving a term as the highest-ranking food-safety official in the US government during the George W. Bush administration, she’s inclined to agree. But the time she was compelled to stand up to big business—over the potential recall of millions of pounds of E. coli-tainted ground beef—still shines through the blur of pressure-cooker days she endured. Be an extremely good listener. Fifteen minutes after the meeting concluded, Murano received a call from the company’s CEO assuring that they would, in fact, be issuing the recommended recall. A major moment, it was one of many that define a career that keeps taking her around the world and back again, determined to make it stronger and safer in her own way with each pass. It was a deep desire to impact people in a direct manner that led the Cuban-born Murano to study microbiology at Virginia Tech—specifically anaerobic microbiology (in which she holds a Masters), and food science and technology (in which she holds a PhD). 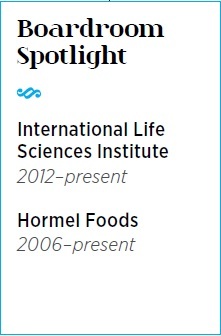 Determined to keep learning about the creation and prevention of food-borne illnesses, she started her career as an assistant professor at Iowa State University. A mere five years later, she joined the staff at Texas A&M University both as an associate professor and as director for the school’s Center for Food Safety—displaying a penchant for leadership that was decades in the making. In fact, Murano had only been at Texas A&M for six years when the aforementioned Washington, DC, opportunity came calling. The George W. Bush administration needed an expert to serve as the undersecretary for food safety at the Department of Agriculture. A candidate who was keenly aware of a seemingly endless stream of E. coli-related national beef recalls, Murano accepted the position and served in it from 2001 to 2004. She made food-borne illnesses the centerpiece of her tenure, with goals to reduce them in key amounts by 2010. The targets for E. coli illnesses, indeed, were met six years ahead of schedule. “There used to be a big recall done every three to four months back then, but you hardly hear about them at all anymore,” she says. 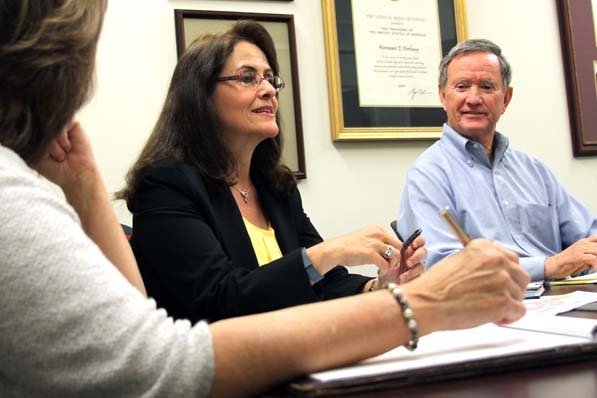 It was just a few years upon rejoining the university that Murano found herself in an all-new position of leadership—president of Texas A&M, effective January 2008. In doing so, she became not only the first woman and first Hispanic to hold the job, but also one of the youngest in the institution’s history. Though she only held the position through June 2009, her contributions were noteworthy. After her tenure as president, Murano returned to a full-time focus on food and food safety. This passion has manifested itself in numerous ways, particularly with regards to Murano’s position on several boards, but some of her proudest achievements to date stem from her work as director of the Borlaug Institute. Taking its name from the Nobel Peace Prize-winning “Father of the Green Revolution,” Norman Borlaug, the institute is about fighting hunger and poverty on a global basis by educating and empowering developing countries via sustainable farming methods and helping to create value-chains for small farmers.